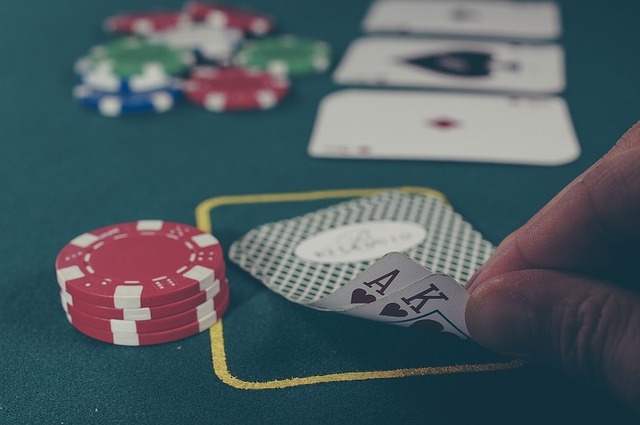 Perhaps you like to play things tight at the online poker table, but then again, maybe you are reckless and like to shake things up and keep the table guessing. There are plenty of each at the online poker sites, but which betting style is better? Learning how to balance your range in online poker will help you build your bankroll more easily. When you play tight, you won’t be in as many hands as the loose players, so you are not going to suffer as many bad beats. Playing tight means you take the time to carefully read the pot odds before making any bets, and rarely get into a showdown with a bluff. The person who plays tight is going to usually have the best of it, so when you can sneak into a hand, you can often surprise the loose player with a call and take down a huge pot that will sustain you as you fold the majority of the hands in the coming rounds. By the same token, if you don’t mix up your play, the better players will spot your tight style and put you to the test when they have junk. If they suspect you fold easily, they will push all-in on the river with trash knowing you will not risk it on a marginal hand that may have missed the board. Mixing loose and tight is the key. The loose player is going to be in a lot of pots and suffer a lot of bad beats. This is not such a big deal since these loose players tend to win huge monster pots with bluffs when they push around the other players. Loose players are certainly unpredictable, so when they make a big bet, usually the other players fold because they just can not get the right read and do not want to risk making the call when this player finally has the nuts and brags about it at the table for hours. The trouble with playing loose all the time is that the other players love to slow-play the nuts and bait traps for you to take. If you are labeled loose, you will be set-up more than other players. The key to being loose is to pick your spots and not get the reputation that you are reckless and play everything all the time. If you can mix the tight and loose styles correctly, no one will be able to predict your next play. As you can see, there are advantages to both betting styles at the online poker tables. Choose the style that best matches your personality and stick with it until you start to see your bankroll take a nice positive turn. Once you master these techniques, you’ll be in the best position to balance your range more easily.